To save the church some money from stamps, paper and printing costs, your 2018 tax statements are now available to download electronically & securely through My Own Church. 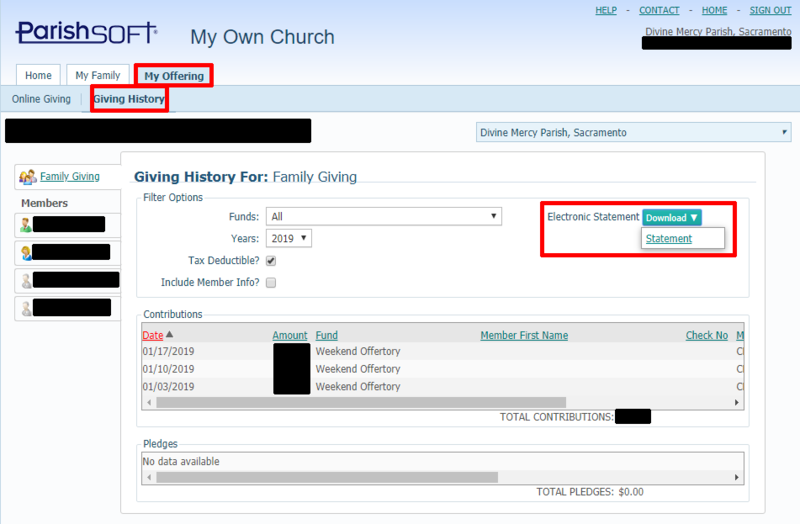 Click on the My Offering tab and go to Giving History where you should see “Download > Statements” on the upper right hand of the page and you can download from there. Printed statements will be available upon request in the church office by the January 31, 2019. However you choose to give your time, talent, and treasure, we thank you! Our parish ministries thrive only with your continued help and support.